Check out these resources to learn more about insurance and how you can protect the people and things you care about most. 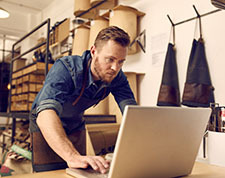 As an owner of a small retail business, it may be difficult to identify which types of insurance coverages are best for your business. Here are six coverages that are necessary to protect your business. Liability insurance is essential for all businesses as it provides coverage for customer injuries, damage to others' property and lawsuits. It can help pay for medical expenses as well as legal costs if an incident, such as a slip-and-fall injury, leads to a lawsuit. As a business owner you can (and should) take precautions to prevent these types of claims from happening. However, accidents and injuries happen regardless of how many safeguards you have in place, which is why having adequate general liability insurance is a must for any business. Property insurance helps to protect your building, inventory and any other equipment used in your daily operations (such as shelves and cash registers). With this coverage, you will be prepared for a wide variety of outcomes, such as fire or wind damage. This coverage gives you peace of mind knowing your building and the contents inside of it are covered. What do you do when disaster strikes and your business is unable to operate? Most retailers need a physical location to operate and if your building is destroyed by a covered cause of loss that prevents your business from running, business income insurance will help to replace the income lost from being unable to operate. This type of coverage is often overlooked, but is critical for small businesses since a loss of operations for an extended period could lead to bankruptcy. This coverage can help to offset some of the total loss during the most difficult time for your business. Workers’ Compensation coverage is required by law if you have employees, even if it’s only one. It may cover medical treatment, disability and death benefits in the event an employee is injured or killed while on the job. It’s necessary even for low-risk jobs, as something seemingly minor could lead to an expensive claim. Commercial Crime insurance covers your business in the event of fraud or theft, which is very important for retailers that handle a lot of cash and inventory since they may be easy targets for thieves. Having commercial crime insurance allows you to focus on running your business instead of having to investigate potential crimes. It is critical for all business owners to identify which insurance coverages are necessary to protect their business. Make sure your business is covered; reach out to your independent insurance agent to ensure you have the right coverages for your business. Disclaimer: Commercial policies are underwritten by Integrity Insurance, Appleton, WI, and are subject to underwriting approval. Not available in all states. This article is for information purposes only. For specific coverage details, always refer to your policy. What do most small businesses, including contractors, hair stylists and florists have in common? They likely use technology to run their business. Any company that has a website, email system, or stores confidential information electronically, needs cyber liability coverage. 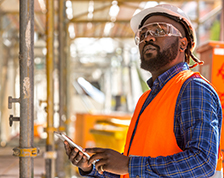 Most of us understand the basics of workers’ compensation: if an employee gets hurt on the job, they’re compensated for work they miss over and above any statutory waiting period and their medical bills will be covered. However, there’s a bit more to workers’ comp that both employers and employees need to know. There are more than 28 million small businesses operating in the U.S. Regardless of size and industry, these businesses are exposed to loss, potentially catastrophic, and need protection. 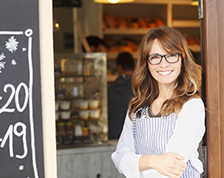 Learn the basics of business insurance and who can guide you through the process.